Darjeeling: Rebel Morcha leader and Gorkhaland Territorial Administration chairman Binay Tamang will on Sunday visit Tukvar, the turf of party chief Bimal Gurung, in his first trip there since the two parted ways. Sources told The Telegraph that in Tukvar - earlier known as the Morcha "lion's den" because of Gurung - Tamang will visit some tea estates to oversee the GTA's development works. Tukvar, a few kilometres from Darjeeling town, had been on the focus of the police and the administration during the over 100-day-long statehood agitation last year spearheaded by Gurung. "He (Tamang) will interact with people and gauge the progress of projects," said a source. Political analysts feel the trip is significant. "The visit is symbolic and shows Tamang's confidence. It seems his plan is to paralyse whatever is left of Gurung's set-up in the area," said an analyst. Tamang, who was elected to the GTA from another seat in Darjeeling, had earlier been to Tukvar several times. "But since the split, he has not gone to the area. Now that he has planned the visit, it shows he wants to send a message across the hills that even Tukvar is under his control," said an observer. Over the past two decades, Tukvar had been Gurung's lair where he had won as an Independent councillor in 1999. Later, he joined the Gorkha National Liberation Front (GNLF). "GNLF was the most powerful party then. 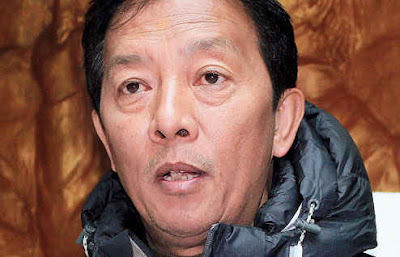 But Bimal Gurung managed to win the seat. This showed his support base. If Binay Tamang walks into the area and manages to win the confidence of party workers and supporters who have always been close to Gurung, it would be yet another setback to the Morcha president," said another observer of hill politics. Rebel Morcha leader and Gorkhaland Territorial Administration chairman Binay Tamang will on Sunday visit Tukvar, the turf of party chief Bimal Gurung, in his first trip there since the two parted ways.